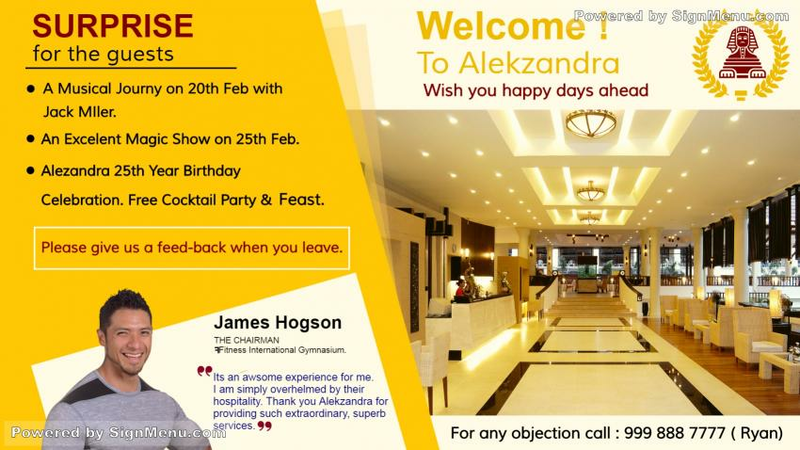 This template showcases the upcoming events organized by the hotel which has an elegant property ambiance. When placed on a digital screen atop the hotel premises it will have a scintillating impact on the target audience in the evenings. It is sure to attract the motorists & people from the city. In recent times there have been updates on digital signage screens by the advent of LED & LCD screens, which induce a compelling visual impact. This template is ready for download and use.